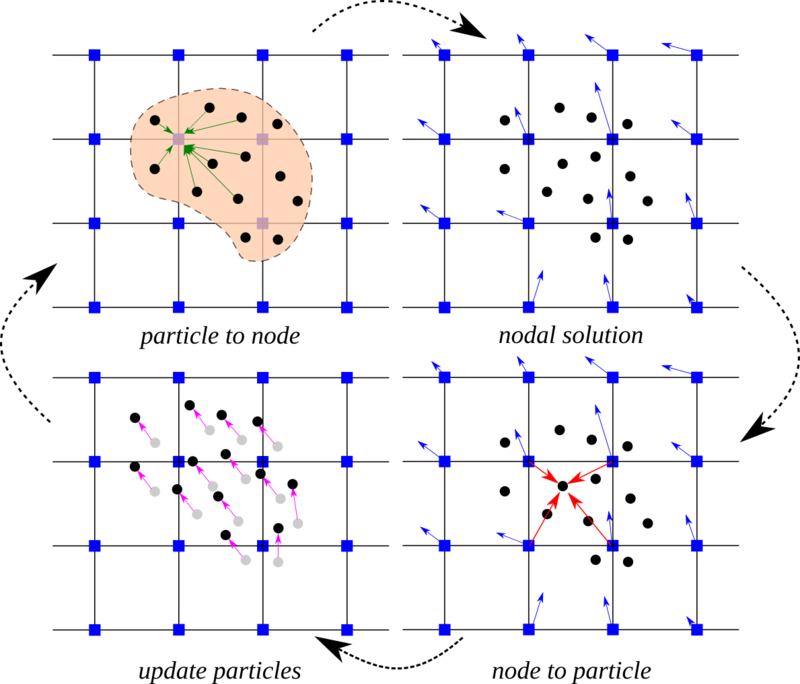 Material Point Method (MPM) is a particle based method that represents the material as a collection of material points, and their deformations are determined by Newton’s laws of motion. The MPM is a hybrid Eulerian-Lagrangian approach, which uses moving material points and computational nodes on a background mesh. This approach is very effective particularly in the context of large deformations.